The Puyuma is an ethnic group living in southeastern Taiwan, including the western foothills of the Taitung plateau and alluvial plains in the southern part of the Eastern Taiwan Valley. Based on linguistic analysis, the Puyuma is one primary branch of the Paiwanic language group in the Austronesian language family. However, the ethnic categorizing process of the Puyuma people has been a convoluted one. The name, Puyuma, is a transliteration of an ancient large tribe’s name (also known as Nanwang in Mandarin). At the earliest stage of the process, because the Puyuma’s language and culture are closer to the Paiwan, Japanese scholars, such as Mabuchi Toichi, lumped them together with the Paiwan and the Rukai into one ethnic group, called the Lion Tribe, after they had finished their broad survey of Taiwan aborigines. 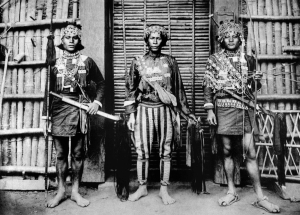 Later on, the book “The Formosan native tribes: a genealogical and classificatory study”, which Utzukawa worked on as a coauthor, mentioned that the Puyuma’s ancestral family system (karumahan) was a unique feature that should separate the group from the Paiwan as an independent ethnic group, and it adopted the name of the place of origin, Panapanayan, as their ethnic name. Panapanayan was the place on a coast near the MeiHe village to the south of the Jiben Township. The name Pa-Sher-Fan (eight sub-tribes) is another commonly used name for the group. 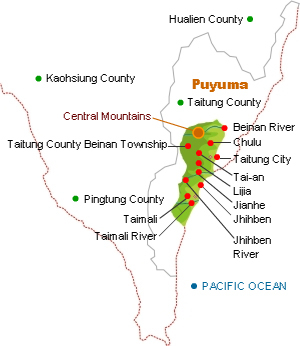 Under KMT rule, the name of a tribal village, Puyuma, became a popular name for this ethnic group. However, this name has been questioned by the people, so when the eight sub-tribes began taking turns holding the united annual ritual (Nian-Chi) in 1989, they termed the entire ethnic group Pinuyumayan. This term means “to belong to the Puyuma ethnic group” and is different from the place name, Puyuma, in their language (Lin Zhixing, 1995:27). 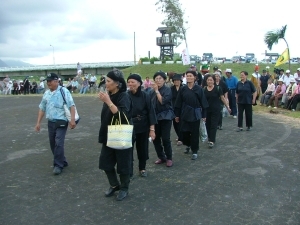 In the past, this group did not have a collective name for all members; rather Puyuma referred to one another by the name of their place of origin, so the use of the term Pinuyumayan never became widespread in Taiwanese society, and Puyuma remains a generally accepted term for this ethnic group. According to records, the Puyuma have mainly dwelled on the Taitung plain. Their population is around 10,000, and they are spread out in the southern part of the Taitung valley, but mainly live in the coastal area between the south of the Beinan River and the north of the Jiben River. 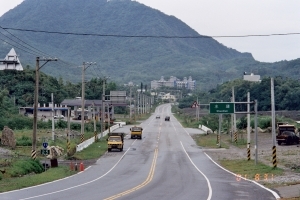 Taitung City is the biggest residential area. Aside from these places, there are people living in Tunghe Township in Taitung County and Laiyi Township in Pintung County, as well. Some people who stay in Taimali Township in Taitung County, Manju Township in Pintung County, and Mudan Township in Pintung County are most likely enculturated by the Paiwan ethnic group; and those who stay in Henchun Township are possibly enculturated by the Han Chinese. Therefore, the above groups are not included in the population statistics. The total population of the Puyuma is not great, but its influence on the politics and history of eastern Taiwan is very significant. The possible explanations of this fact include two points. First, the Puyuma occupy the pivotal confluence of several main rivers on the Peinan Plain in Taitung which controls the entrance to the mountains and the Huatung Valley. Second, they take an open-minded attitude when they interact with the outside world. The earliest records of the group date back to the Yuan dynasty (1234 -1368) when the Puyuma traded with Han Chinese from western Taiwan. The Han Chinese named the place “BeiNunMi.” Later, the Dutch invaded and governed some parts of Taiwan from 1600 to 1662. 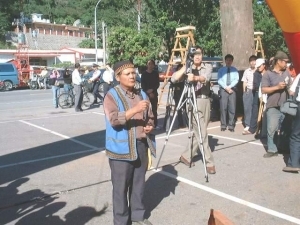 They contacted and cooperated with BeiNunMi residents while mining in eastern Taiwan. After the Dutch left, the Puyuma took over the area and expanded their power north to Quanshan, Chishan, Kanuwao and Shinkang Townships and south to Dawu Township. The whole area was generally called “BeiNunMi Seventy-two Tribes,” which also included tribes of the Amis, Paiwan and other ethnic groups as well. In the Qing dynasty (around 1660), Koxinga and his troops also tried to find gold in this area but were defeated by the combative Puyuma. Archives from the Qing dynasty record Puyuma groups with the name “BeiNunMi” in Jiang Risheng’s “Taiwan Wai Ji”(1683) and Huang Shujing’s “Tai Hai Shi Zha Lu”(1736). 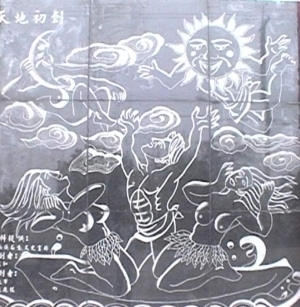 Another Qing source on the Puyuma states that in 1695 (the 35th year of Kangxi’s reign), governors of the Taiwan prefecture, Chen Lin and Lai Ke, travelled over the Central Mountain to appease the tribal people by conferring the title “King of the Puyuma” on their chief, Wenjie. According to the Japanese scholar Hiroshi Shidehara, the Zhu Yigui rebellion occurred in 1721, (the 60th year of Emperor Kangxi’s reign), and those remaining loyal to Zhu, including Wang Jungin, fled to the Puyuma’s territory and planned another rebellion in 1772 (the first year of Emperor Yongzheng’s reign). Wang Zhang, who was the Tong-Shi (gobetween/translator) of Langciao (now Pingtung County), gave the King of the Puyuma clothes, shoes and an official hat as gifts. So the great chief helped to catch the leader of the faction remaining loyal to Zhu. As a result, he received the title of “Great King of the Puyuma” from the Qing emperor, as well as imperial regalia, an imperial hat and the right to rule the aborigines of eastern Taiwan. Puyuma power reached Haulien Harbor after this event (Hiroshi Shidehara, 1931). 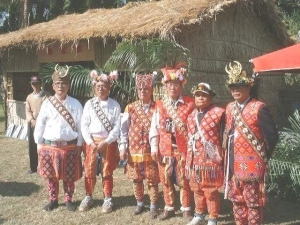 Nowadays, the word for local male elders’ ceremonial dress, lonbau in Puyuma, sounds similar to the word for imperial dress, longpao, in Chinese. It is possible that this ceremonial dress was modified from the imperial dress which the Qing emperor bestowed upon the King of the Puyuma as an official dress to have an audience with the Qing governors. According to Puyuma oral history sources, their ancestors landed at Meihe village in Taitung County which is called Ruvaan by the Jiban Tribe and Panapanayan by the Nanwan Tribe. 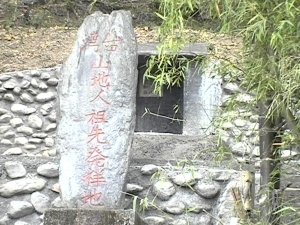 The “Place of origin of Taiwan aborigines” monument on the slope beside the road passing through Maihe Village was erected by the Jiban Tribe and the Jianhe Tribe in 1950. According to the oral history of the Jiban Tribe, two females and one male landed here. Their names were Paluh, Tavutav and Sukasakaw. After they settled, they produced many descendents. The older sister's descendents were the ancestors of the Jianhe Tribe, the younger brother’s descendents formed the Jiban Tribe, and the other one’s descendents belonged to the Nanwan Tribe. Other Puyuma tribes originated from either the Jiban Tribe or the Nanwan Tribe. These tribes distinguish themselves as the bamboo-born group and the stone-born group based on their oral history. The two groups also have slightly different dialects. The Nanwan Tribe believes that their ancestors were born from bamboo, and the Jiban Tribe believes that theirs were born from stones. During the economic boom of the 1980’s, many Puyuma people moved to big cities in the north and south of the island in order to find jobs and make some money. But they have returned to their tribes to engage in farming and other agricultural pursuits since the beginning of the 21st century. Until now, they still have the Puyuma Northern Immigrants Association and the Puyuma Southern Immigrants Association. Both associations serve as gathering and communicating social organizations for Puyuma immigrants. Puyuma social structure and organizations are based on kinship ties. The smallest social unit is the family (ruhma), then lineage (sarumahnan), and the clan (samawan) is the largest. A village (zakal) is composed of several clans. Normally, a clan has a large ancestral spirit house (karumahan) managed by its priest (rahan), who is also in charge of related seasonal rituals, such as the millet harvest festival (murahijavan), and the grand hunting festival (mangayau). In addition to the kinship-related social units, there are Men’s Houses in every tribe, which are the main organizations in a village where tribal affairs and decisions on fighting with enemies are handled. Members of the Men’s House are male adolescents and adults. Some other ethnic tribes have only one Men’s House in each tribe, but the Puyuma tribes usually have more than one Men’s House. For example, the Peinan Tribe has six Men’s Houses. Before the time of outside governmental rule, they lived under a system of tribal self-rule. Men’s Houses were built at the entrances of the tribal village, serving as the military camps on the border or guard posts of a fort. Members of the Men’s Houses closely watched people coming and going. When women or seniors took trips outside, the men acted as their bodyguards to protect them from headhunting by hidden enemies. In order to defend their tribes, the Puyuma also have another social organization, The Age System, to work together with the Men’s House. The Age System is as rigidly structured as an army. Every man must join the Men’s House, which is similar to a man’s military duty under the mandatory military service system. As for the leadership, one type of leader is the clan’s priest (rahan). A priest with higher social status leads other priests from different clans in performing rituals and makes decisions on tribal affairs. Another type of leader is the ayawan, which generally means the head of the group, such as the head (ayawan) of the Youth club. However, the ayawan doesn’t serve as a religious leader, but in some tribes, he even replaces priests (rahans) as an opinion maker. The Puyuma are located in the Taitung alluvial plain, which is formed by the Bainan, Taipen, Lijia and Jiben Rivers, and is the largest delta along Taiwan’s southeastern coast. This diverse natural environment contains ocean, plains, mountains, rich soils and swamps with wild grass, providing the Puyuma people with a multifaceted land. Generally speaking, the main method of production of the Puyuma has been hunting and farming, and it is similar to that of other Austronesians. Traditionally, the division of labor was determined by gender. Men were hunters and women were farmers. Men plowed the fields and hunted in the mountains, while women planted crops. In ancient times, Puyuma men hunted to provide animal protein, and women mainly planted millet. Due to the diverse environment, the southern Jiben Tribe and other smaller related tribes gradually switched their production method to slash and burn agriculture while the northern Peinan tribe adopted settled cultivation plus hunting during the slack seasons, even though they still engaged in slash and burn agriculture occasionally. The Puyuma changed to a rice-based production system in the Daoguang era of the Qing dynasty (1820-1850), when they learned dry rice cultivation. The Puyuma was a powerful ethnic group, ruling an area in a quasi-imperialist system. 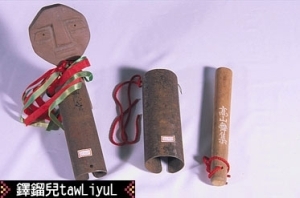 The Jiben tribe was very strong in those days, so neighboring tribes, including the Puyuma tribes, Lijia, Nanwan and other Puyuma tribes, as well as other ethnic groups, such as the Amis and Bunun, paid tribute to them. The amount of tribute paid changed according to the rise and fall of the Jiben and the Nanwan tribes’ respective influence. When the Nanwan tribe gained ascendency, they took the right to collect tribute. This proves that exchange relations were closely connected to the power structure in the Taitung plain in early times. 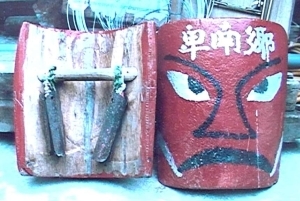 The Puyuma’s concept of the supernatural is similar to general animism. They believe that everything contains an inner spirit. 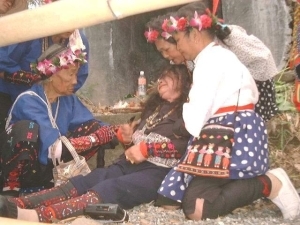 Puyuma witches (bulingow in Jiban dialect and tamaramau in Nanwan dialect) practice a powerful witchcraft which is feared by the neighboring Amis and Paiwan tribes. Witches have the ability to augur, practice magic, and lead rituals. Witchcraft can be divided into magic of black or white form. The goal of the former one is to hurt people, and the latter one is to cure people. Witches are females, and bamboo divinators are mainly males. It is possible that male bamboo divinators learned their skills from the Amis. The earliest record of the introduction of a foreign religion can be traced back to the Dutch era (1624-1662). In addition to gold mining, the Dutch also established local councils and local churches in the Puyuma areas. The spread of Christianity had an immense impact on local culture. The faith in ancestral spirit houses bore the greatest damage. Many residents burned down their ancestral spirit houses because of Christian teachings. 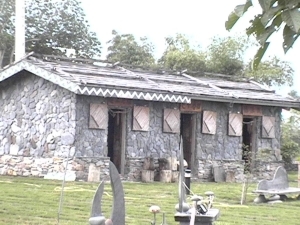 In recent years, however, many people have rebuilt their ancestral spirit houses due to the revival of ancestor worship. 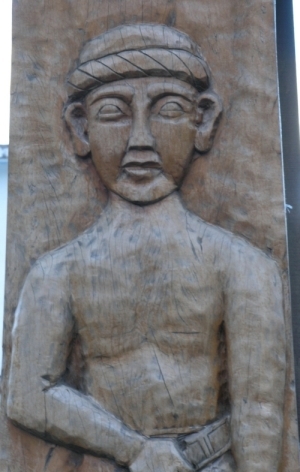 Traditionally, there are two types of religious leaders; priests (rahan) who are in charge of the ancestral spirit house of the clan, and witches (bulingow, as mentioned above), and both could also be called ritual experts. In major Puyuma rituals, both of these leaders play the same role in directing the ritual process and prayers as well. Most Puyuma rituals follow the harvest seasons of different plants. 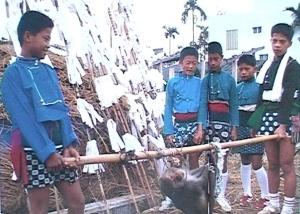 For example, the millet harvest festival (Venarasah) is in June, and the annual ritual is at the end of December, which includes the grand hunting festival (Mangayaw), the monkey ritual (mangayangayaw) and the escaping misfortune ritual (gilabus). If a drought happens in the middle of a year, a rain ritual (bauza) is conducted. From Puyuma residential components, we can gather that the village is composed of a group of kinship units. There may be residents from more than one ethnic group living together in a community. The Rofaniao family, for example, belongs to the Paiwan ethnic group according to its oral history but it is also an important part of the Jiban Tribe. There are no strict ethnic boundaries in the Taitung plain, because ethnic groups interact with one another very frequently. The experience of living together in the same location outweighs ethnicity in this area. Puyuma material culture is not as splendid as that of neighboring ethnic groups, such as the Paiwan, but it has its own unique features. The Puyuma’s finest art is embroidery and weaving. Due to the laborious and complicated traditional weaving process, the traditional method was replaced by the Han Chinese’ embroidery technique after it was introduced to them and it has developed delicate patterns since then. Cross-stitching is the most common form of embroidery. 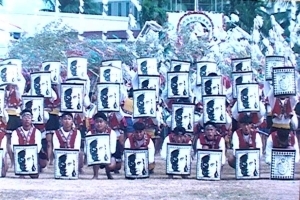 The human dancing pattern is the Puyumas’ unique design. Puyuma Men’s Houses were also fine architecture. Photos taken during Japanese rule show that Boys’ Houses were the tallest pile-built dwelling among all Austronesian tribes in Taiwan. They had the largest floor plans too. This fact proves that the Puyuma reached a significant level of architectural technique. As for Puyuma music, there are many outstanding Puyuma modern music performers who have contributed to making the Puyuma a remarkable group among Taiwanese indigenous peoples. For example, Chen Shi, who wrote “Ocean,” Master BaLiwakes, who wrote “Memories of the Nian Chi ritual” and “Beautiful Spikes of Rice,” ballad musician Wan Sha-lang, Gao Zi-yang, who is the composer of “We Are In the Same Family,” song writer Chen Chien-nian, and popular music singer Chang Hui-mei. Dance is another aspect worth discussing. Puyuma dance steps, dimadialw, in the traditional Nian Chi ritual are very powerful and complex and were highly acclaimed in the Traditional Male Dance category of the 1993 National Art Festival. Historical archives related to the Puyuma indicate that this ethnic group has been good at adaptation and absorption. They have had close relations with the politically dominant group since the Dutch era (1624-1662). Therefore, they had fewer political protest movements when they interacted with state power and colonizing regimes. But the Puyuma are vital in the current cultural revival movement. 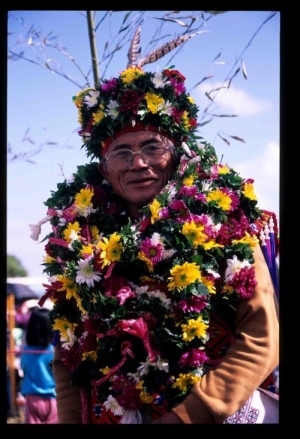 The Puyuma people have been resurrecting traditional rituals since 1989. They not only renewed the practice of traditional rituals in all of the tribes, but also organized the Puyuma united Nian-Chi ritual, which is held by one of the ten communities in rotation. In the process of cultural revival, each tribe has developed its own character too. For example, the Jiban Tribe performs the “budean” dance, which is characterized by a dance step of carrying heavy tribute. The Chiulu Tribe performed the “shield” dance, which is characterized by defensive postures that they adopt when in conflict with the northern ethnic group, the Bunun. Through the display of distinct tribal character, the united Nian Chi ritual also shows the renewal of both self-identity and cultural identity.